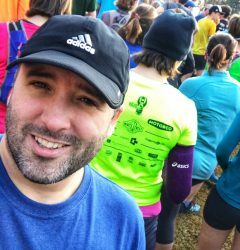 Tobacco Road was my first ever half marathon last year, and I can still remember it well. 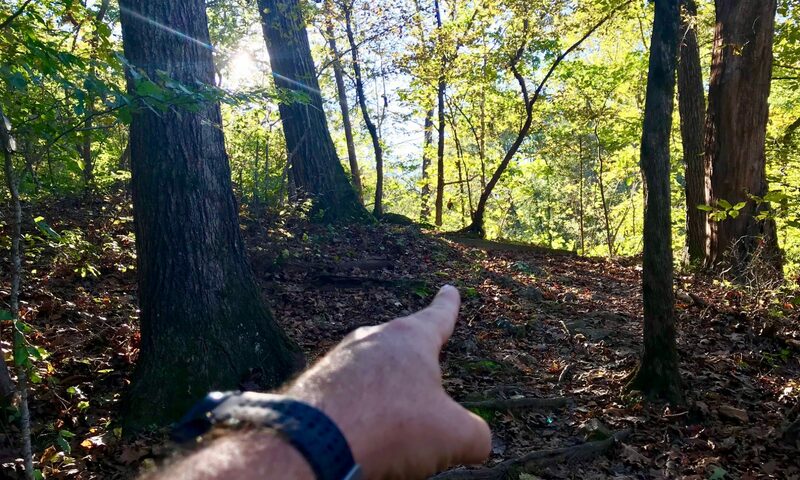 Running on the trail through the trees. Greeting other runners on their return legs. Struggling at the 9th mile. The down-hill finish. The post-race beer. So, I’m pretty excited that I get to run the race again, one year later, except this time it’s my first full marathon! I visited the Expo yesterday and picked up my bib. For a local race, it’s one of the largest race Expos in the area. It was well laid out with plenty of vendors, and Jeff Galloway was in attendance (he is running the race on Sunday as well). Thelma, one of our running crew, was at Thomas E Brooks park today and set-up is well underway — the picture at top is the start/finish line, and all important porta-john row is pictured below. The weather forecast tomorrow is great marathon weather. It’s around 40F when the race starts at 7am. I’m planning to wear shorts and short sleeves, so I’m expecting to be a little cold before it starts. I’ll be the one in an orange shirt, Irish dancing to keep warm. All my stuff is ready to go for tomorrow. For the first time I have created a music playlist as well. It has a mixture of old favorites and some newer songs to keep me going for 6 hours — hopefully I’ll not need that long though! If you have Apple Music and want to check it out, click here. Right, it’s about time I started making my way to bed to get plenty of rest. 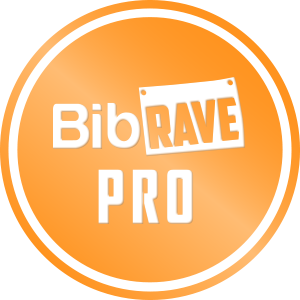 I’m looking forward to meeting some of my fellow BibRave Pros tomorrow! I see that you had plenty of gels. Good idea. I never worry about bringing too many. Sometimes a marathon will have two stations where they hand out gels and I’ll end up finishing the race with a few of mine still in my belt. Better to finish with extra supplies seems obvious to me. I like to carry my own gels. Hadn’t trained with the gels they were providing! It can be dangerous to use gels you’re not familiar with. I’ve tried most brands, but prefer my own also. If I don’t pack enough I try to wait until late in the race to take a new type of gel.